Hello readers, we at FastKlean Cleaning Company have been approached by the managers of an estate agency in Fulham, who are regular clients of ours, asking for upholstery cleaning and hard floor cleaning. Needless to say that presentation is of paramount importance in any commercial business, and this is especially the case when it comes to estate and letting agencies. Not only do they have to ensure that properties going up for sale or rent are up to scratch and immaculate before a viewing by potential buyers and tenants, they also have to maintain the appearance of their offices. Buying or renting the right home is one of, if not the biggest decisions a couple or individual can make in their life. Approaching an estate agency for the first time is a very daunting task; therefore they need to make visitors as comfortable as possible. A great way to achieve this sense of comfort is by hiring fully trained and experienced upholstery cleaners to perform upholstery cleaning London on all the large furniture in the office. If customers can make themselves comfortable in your office, then their nerves will settle, making discussions and negotiations go a lot smoother. Undergoing regular hard floor cleaning and polishing to ensure immaculate and shiny floors will also help create a welcoming atmosphere in the office, bringing the whole place together, and improving the overall feel. Upholstery cleaning and hard floor cleaning is performed using the most powerful equipment and cleaning products in the industry. If you are a manager of a business and you feel that your office requires a good cleaning service, then call a cleaning company in London that can fulfil all your needs. We provide a wide variety of cleaning services in London. 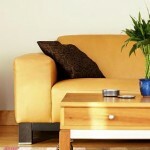 For upholstery cleaning Fulham call 020 8884 9149 for a free quote.